Former Apple engineers Matt Ronge and Giovanni Donelli are on a mission to create polished and powerful creative tools. Together they made Astropad, an app that transforms your iPhone and iPad into a professional graphics tablet. Astropad is easy enough for hobbyists to pick up and start using, but it’s also built to meet the needs of creative professionals. With touch sensitive, iOS stylus compatible controls, Astropad lets users edit wherever they are. 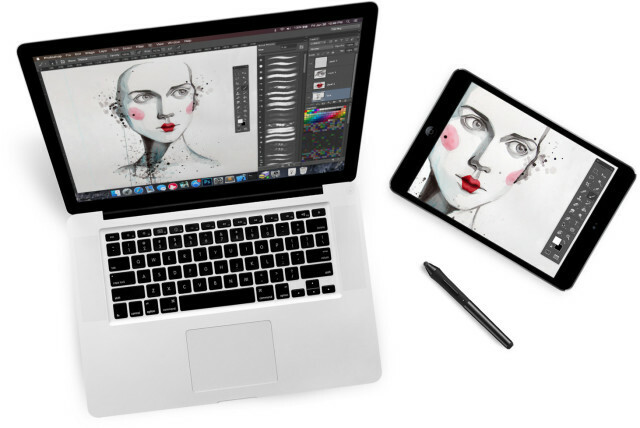 Popular Mac tools like Photoshop, Corel Painter, Manga Studio and many more are available to use on Astropad, all without the need of any drivers. Images can be examined and enhanced reliably, the makers say, as Astopad is colour corrected to match your Mac. Even when used over Wi-Fi, this app promises speeds of 60 FPS to deliver a natural drawing experience. By using ARM Assembly code, Astropad also aims to maximise your device’s battery life. Digital designers and artists can download and install the app now by heading over to the Astropad site. Breaking what seemed to be a `deadlock` in the national government formation, UNP Chairman and MP elect Malik Samarawickrema said yesterday that an agreement was reached with the SLFP over its mechanism after extensive discussions. According to the agreement, the new Cabinet of the national government will be sworn in before President Maithripala Sirisena on September 02 after Parliament approves the exact number of members to be in the Cabinet. Samarawickrema said the SLFP and the UNP have reached a consensus on the portfolios after having a number of discussions with SLFP representatives. `We came to an agreement subsequent to the friendly and comprehensive discussions held with the Sri Lanka Freedom Party to form a national government,` he said. Samarawickrema said that the UNP had been insisting on forming a national government during the last presidential and parliamentary elections and having reached a consensus over the formation of the Cabinet, the people`s aspirations have been realized. `What we wanted to do is to mould a civilized society by creating a new political culture and turn the entire Parliament into a government,` he said. He said that both parties had to make many sacrifices to reach a consensus for the formation of the Cabinet for the sake of the people. `We have entered into a process to ensure a better future for the people deviating from the traditional political ideologies,` he said. Samarawickrema said that both parties prioritized ensuring a better future for the people without focusing on privileges or positions. `Our prime concern has been to elevate the mothers_day.jsp’ class=black>motherland to a higher echelon of development and not about ministerial portfolios or other perquisites,` he said. `We had to make many sacrifices to reach a consensus but all these sacrifices were aimed at guaranteeing a better future for the country,` he said. He said that the new Cabinet is committed to realize the dream of building a new country within 60 months. Political sources said that the UNP and SLFP failed to reach a consensus over the number of members to be in the Cabinet over the last few days as Parliament has to determine the exact number of Ministers to be in the Cabinet when a national government is formed. The 19th amendment has a clause that the number of Ministers in any government should not exceed 30 unless a national government is formed in the interest of the public. A proposal is to be tabled before parliament seeking its approval to increase the number of members in the Cabinet of the national government when Parliament meets on September 01. Sources said that the United National Party and the Sri Lanka Freedom Party has agreed to share the Cabinet portfolios on the basis 30 – 15. Accordingly the UNP will secure 30 seats while SLFP receives 15 slots in the Cabinet. What the heck is going on with stocks? 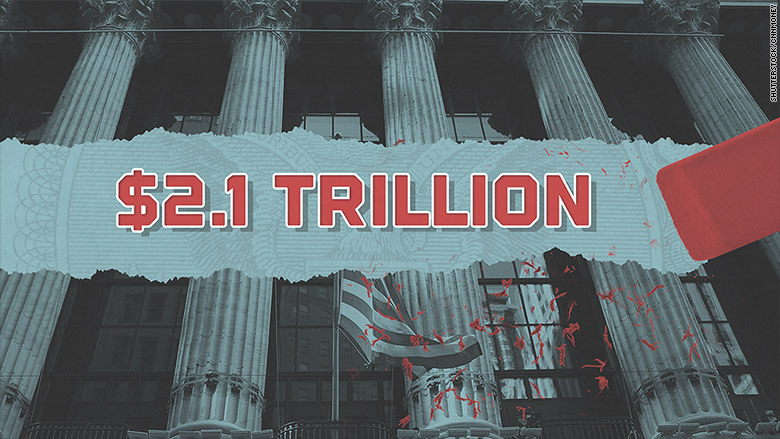 The American stock market has surrendered a stunning $2.1 trillion of value in just the last six days of market chaos. The enormous losses reflect the deep fears gripping markets about how the world economy will fare amid a deepening economic slowdown in China. The Dow, S&P 500 and Nasdaq have all tumbled into correction territory, their first such 10% decline from a recent high since 2011. The S&P 500 — the best barometer for the biggest U.S. companies — has lost trillions of market value in the six-day selloff through Tuesday, according to S&P Dow Jones Indices. To put those losses into perspective, that’s roughly equal to the combined market value of these corporate titans put together: Apple(AAPL, Tech30), Google(GOOGL, Tech30), Berkshire Hathaway(BRKA), ExxonMobil(XOM), Facebook(FB, Tech30), Walmart(WMT) and 21st Century Fox(FOXA). Here’s another way to look at it: It’s like erasing almost the entire value of the British version of the S&P 500. Known as the S&P BMI U.K. Index, it is worth just $2.8 trillion. “The current stock market selloff has spurred flashbacks for previous financial crises,” Merrill Lynch chief investment officer Christopher Hyzy wrote in a research report on Tuesday. The heart stopping part of of the market slide occurred on Monday, with the Dow’s unprecedented 1,089-point decline just minutes after the opening bell. The recent turmoil has wiped out not only 2015’s stock market gains but nearly all of 2014’s as well. The Dow ended Tuesday at the lowest level since February 2014. The dramatic retreat on Wall Street has been fueled by serious concerns about the fallout of China’s economic slowdown. While everyone already knew China’s economy was no longer enjoying explosive growth, investors have seized on possible new signs the slowdown is more serious. China’s stock market imploded earlier in the summer. It wasn’t clear if it was simply the bursting of a stock market bubble or a red flag about deeper issues in China’s economy. And then China shocked markets by devaluing its currency, the yuan, on August 11. The move smacked some as a desperate attempt to boost exports by making its goods cheaper to foreign buyers. Fears deepened last week when a key gauge of Chinese manufacturing activity plummeted to the lowest level since the global financial crisis. All of this has had the combined effect of sending the Chinese stock market down over 40% just in the last two months. But do these credible concerns about China’s economy justify the huge selloff on Wall Street? And are further large losses in the cards? Merrill Lynch argues that U.S. equities “remain vulnerable” in the near term because stocks have broken down below several key levels and momentum stocks are tumbling. Yet unlike the stock market, the American economy is not tanking. Just on Wednesday Barclays boosted its tracking estimate of third-quarter gross domestic growth to 2.8%. That’s nowhere near a recession. In the current environment of lackluster global economic growth, that actually qualifies as pretty strong. And it’s not like interest rates are shooting higher, creating a drag on stocks. Central bankers around the world are flooding the system with cash and keeping rates extremely low. Bill Dudley, the president of the New York Federal Reserve, signaled the U.S. central bank may shelve its plans to raise rates next month until later in the year or even 2016. “The positive fundamentals of improving economic growth and accommodative monetary policies in developed markets remain intact, supporting equities over bonds,” Merrill Lynch wrote. If the economy isn’t collapsing, then that means corporate profits should remain relatively solid, outside of the oil-ravaged energy sector. Profits are critical to stock prices. But prices have tumbled in recent days, seemingly undercutting the argument that American stocks are too expensive. Just look at the Dow’s price-to-earnings ratio, a key valuation metric. On average Dow stocks now trade for 15.5 times this year’s expected earnings and only 14 times next year’s, according to ConvergEx. While that’s not exactly dirt cheap, it’s a big improvement from multiples north of 18 just a few months ago. And if the markets go even lower in the current volatility “we’re getting to levels where the fundamentals show compelling value,” said Nicholas Colas, chief market strategist at ConvergEx, in a note. 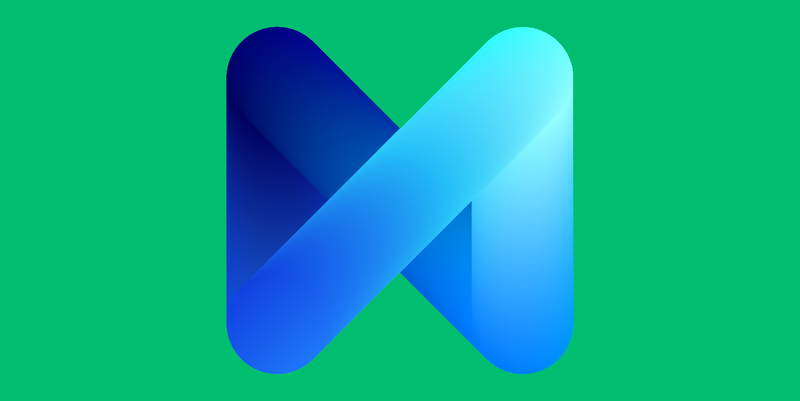 Today, a few hundred Bay Area Facebook users will open their Messenger apps to discover M, a new virtual assistant. Facebook will prompt them to test it with examples of what M can do: Make restaurant reservations. Find a birthday gift for your spouse. Suggest—and then book—weekend getaways. It won’t take long for Messenger’s users to realize M can accomplish much more than your standard digital helper, suspects David Marcus, vice president of messaging products at Facebook. “It can perform tasks that none of the others can,” Marcus says. That’s because, in addition to using artificial intelligence to complete its tasks, M is powered by actual people. Companies from Google to Taskrabbit are engineering products to act as superpowered personal assistants. Some, like Apple’s Siri, Google Now, or Microsoft’s Cortana, rely entirely on technology, and though they can be used by a lot of people, their range of tasks remains limited. Others, like startups Magic and Operator or gig-economy companies like TaskRabbit, employ people to respond to text-based requests. These services can get nearly anything done—for a much smaller number of folks. M is a hybrid. It’s a virtual assistant powered by artificial intelligence as well as a band of Facebook employees, dubbed M trainers, who will make sure that every request is answered. Facebook’s goal is to make Messenger the first stop for mobile discovery. Google has long had search locked up on the desktop: Right now, if I’m looking to treat my summer cold, and I’m in front of my laptop, I begin by googling “cold meds Upper West Side.” On mobile, however, I may pull up any number of apps–Google, Google Maps, Twitter–to find that out, or I may just ask Siri. Facebook starts at a disadvantage on mobile because it doesn’t have its own operating system, and therefore users must download an app, and then open it. Marcus hopes to make up for that by creating a virtual assistant so powerful, it’s the first stop for anyone looking to do or buy anything. If M can provide a more efficient service than its competitors, Facebook can boost the number of people using it on mobile, and eventually spur revenue from their transactions. That’s the kind of win-win Marcus was brought in to accomplish at Facebook, which in June 2014 hired him away from PayPal, where he had been CEO. In less than two years, Facebook has more than tripled Messenger’s users to 700 million. To try the new service, users will tap a small button at the bottom of the Messenger app to send a note to M, the same way they might message anyone on Facebook. M’s software will decode the natural language, ask followup questions in the message thread, and send updates as the task is completed. Users won’t necessarily know whether a computer or a person has helped them; unlike Siri and Cortana, M has no gender. For now, M doesn’t pull from the social data Facebook collects to complete tasks. So, if you request a gift for your spouse, the service will make suggestions based only on your answers to questions it asks you and previous conversations you and M have had. Marcus says that may change “at some point, with proper user consent.” The service is free, and will be available to all Facebook Messenger users eventually. In internal tests, Facebook employees have been using M for several weeks to do everything from organizing dinner parties to tracking down an unusual beverage in New Orleans. “An engineer went to Paris for a couple days, and his friend asked M to redecorate his desk in a French style,” Marcus says. “Twenty-four hours later, the desk was decorated with a proper napkin, baguette bread, and a beret.” One of M’s most popular requests from its Facebook employee testers: the service can call your cable company and endure the endless hold times and automated messages to help you set up home wifi or cancel your HBO. The thing is: that’s a person on hold on your behalf. Facebook’s M trainers have customer service backgrounds. They make the trickier judgment calls, and perform other tasks that software can’t. If you ask M to plan a birthday dinner for your friend, the software might book the Uber and the restaurant, but a person might surprise your friend at the end of the night by sending over birthday cupcakes from her favorite bakery. “M learns from human behaviors,” says Marcus. Eventually, the service might be sophisticated enough to figure this out on its own, but not soon. Right now, M trainers sit close to the engineering team inside Facebook offices. The company confirms the trainers are contractors but won’t say how many there are. Marcus anticipates that over time, Facebook will employ thousands of them, which will represent a substantial economic investment. The company anticipates the cost will be offset by the revenue growth it is able to realize by capitalizing on M’s interactions. As WIRED’s Cade Metz explains, Facebook plans to use data generated by the service to feed much more complex AI systems that can reduce the burden on the trainers. It’s not hard to imagine the business opportunities that M could spawn. For one, should Facebook discover a business is getting lots of inbound requests, it could partner with that company to offer a more direct, efficient service over Messenger. Facebook is already helping firms offer customer service through Messenger. At the company’s March developer conference, Marcus announced Businesses on Messenger, a feature that allows businesses to send receipts, notify customers their packages have shipped, and provide basic customer service. Marcus anticipates that M will expand slowly over time, but that it will eventually reach everyone. As this happens, the array of tasks it performs will certainly grow. Facebook is, by design, rolling out its new assistant in a community in which the users are demographically similar to the M trainers who will be thinking up gifts for their spouses and fun vacation destinations for them. It’s safe to say that most of Messenger’s 700 million users around the world aren’t looking to book an Uber for a friend’s birthday party or choose between Cancun and Maui for February break. Will M be as good at helping users in the Bronx access food stamps? How about coming to the aid of the single mother in Oklahoma who has a last-minute childcare issue? Marcus is up for the challenge, and so, he says, is M.
(CNN)Reporters, camera operators and journalism colleagues everywhere openly struggled with their shock and grief on social media Wednesday after TV reporter Alison Parker and cameraman Adam Ward were shot dead while reporting live on air in Virginia. It was, perhaps, an unusual display of emotion for people typically trained to keep feelings to themselves. 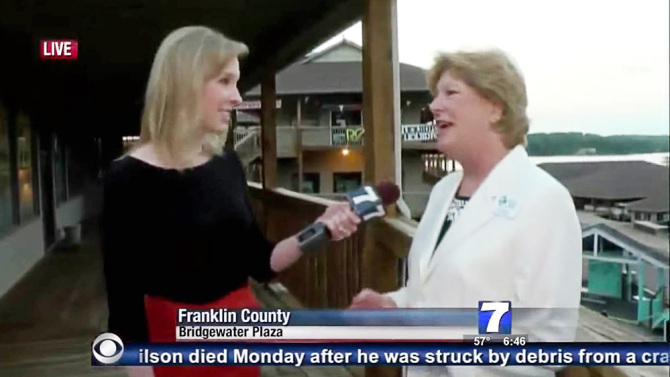 In the hours after the slaying of the two WDBJ-TV journalists, anchors, reporters and entire newsrooms posted tributes and photos in solidarity with the fallen journalists. Vicki Chen, a 24-year-old investigative producer with KVUE in Austin, Texas, called on her colleagues to use the hashtag #WeStandWithWDBJ. The U.S was in the forefront in adopting three resolutions at the U.N. human rights session on Sri Lanka. The United States said on Wednesday that it wants to sponsor a resolution at next month’s U.N. human rights session that is supportive of Sri Lanka’s government, which wants to conduct its own investigation into alleged war crimes. 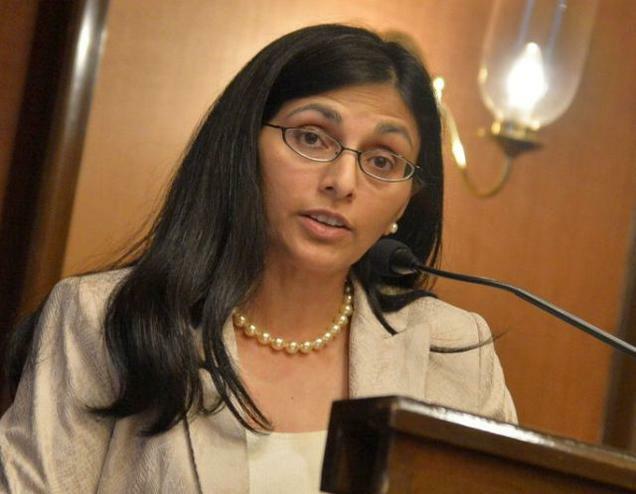 The announcement by the visiting Assistant Secretary of State Nisha Biswal of a joint resolution with the Sri Lankan government presents a major shift by Washington on the South Asian island nation. “The U.S has announced it will be offering a resolution at the September session of the Human Rights Council. It will be a resolution of collaboration with the government of Sri Lanka and with other key stake holders,” she said. The U.S was in the forefront in adopting three resolutions at the U.N. human rights session on Sri Lanka, the last of which last year called for an international independent investigation into the alleged abuses. Biswal said, however, the U.S. now supports a local investigation that the new Sri Lanka government of President Maithripala Sirisena has promised. Biswal did not say what the new resolution would contain, but said it will follow a report by the U.N. Human Rights Council scheduled to be released next month. Relations between the U.S. and Sri Lanka were strained under previous President Mahinda Rajapaksa, who oversaw a military campaign that defeated separatist Tamil Tiger rebels six years ago and ended a decades-long civil war. Both sides were accused of serious human rights violations amounting to war crimes, and an earlier U.N. report said some 40,000 ethnic Tamil civilians were killed in just the last few months of the fighting, largely as a result of the government’s shelling. Rajapaksa’s repeated refusal to investigate the allegations and his increasing leaning toward China for support at international fora and financing of his infrastructure projects affected relations with U.S. The relations have improved since Sirisena’s surprise election victory in January, with the new president moving away from a heavy pro-China policy and agreeing to conduct a local investigation into the abuse allegations.